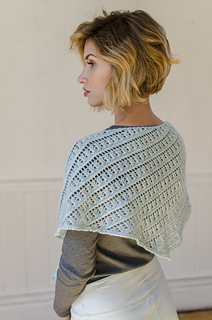 I love a shawl that you can knit until you run out of yarn. 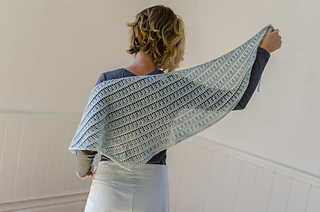 This shawl fits the bill – worked sideways, slowly increasing every row along one edge, making sure you get the most out of your ball of yarn! Written instructions are included for charts. 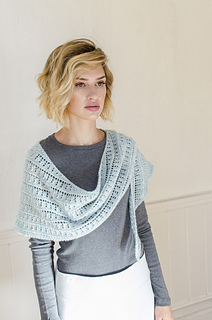 This shawl can easily be adjusted in size. 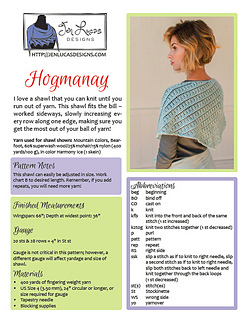 Work chart B to desired length. 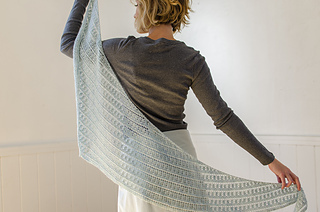 Remember, if you add repeats, you will need more yarn!